One of my biggest regret would be that I did not start email list building from the scratch. I always thought that emails were not a viable source and might be annoying. But, I now know that email marketing is the key to success. In case you are starting to build your email list, this post will be your ultimate guide to email list building. 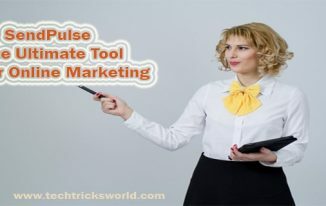 It will show you the best email list building plugins, both free and premium ones, and will also guide you to successful email marketing. Email marketing is said to be done when you collect the reader’s/audience emails (of course with their permission) and send them new stuff that you think will benefit them or as you have promised them during the opt-in. It is highly advisable not to build your fan base on something you don’t own. Facebook, Google plus might have been working for you but they are not your proprietary products. These platforms could bid adieu anytime thus ending your fan base. So, instead of building a mail list that waits for your messages is recommendable. For building an email list you need a service provider with which you will send emails, while there are free email services like Ininbox, mailchimp, sendinblue [They have premium offers as well], if you are serious about email list building I would suggest you to try premium services of them and also check out Aweber, getresponse or ontraport. Why should you build en email list? Email list building has gained much importance in recent days as it is a huge source of traffic, dedicated audience and loyal buyers from your affiliate links. Here is why you should build an email list. 1. It is the best source of blog post promotion. You might not expect to get over 100,000 consistent monthly visitors if you don’t have an email list. 2. Email subscribers will help you bring traffic to the blog even if Google ceases to do it for you. With the ongoing Google updates you never know when your site may get hit up with a penalty. So why keep all your eggs in one basket. 3. Whenever a visitor subscribes your blog he does because he wants to read your posts and follow your advice. 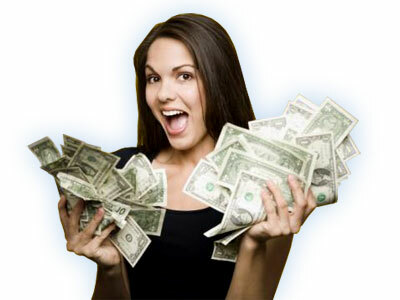 What better chance can you get to monetize this audience with affiliate products? 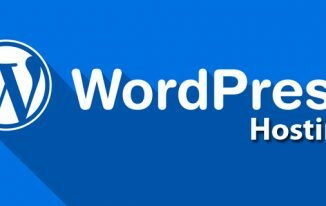 Being on WordPress is a privilege when it comes to using plugins. There are so many plugins that can actually help you to grow your subscribers. Most WordPress email plugins are paid but there are few free email list building plugins that are just the best. 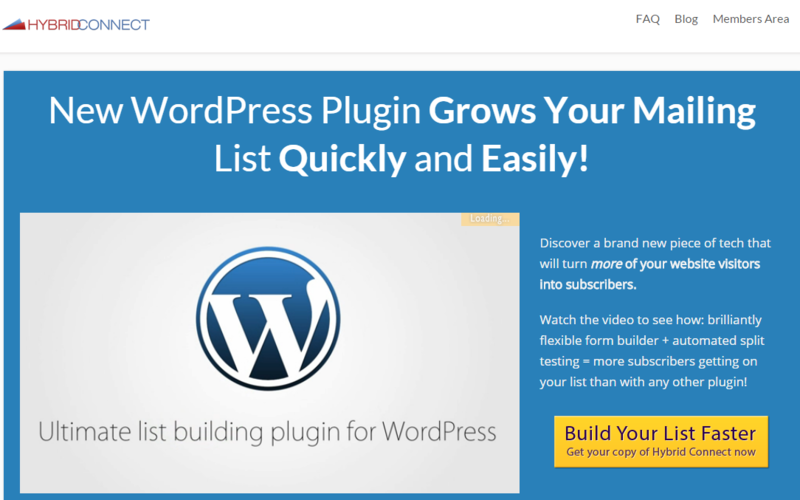 Here is a list of most used and popular list building plugins of WordPress. Hybrid connect is one of the best WordPress email list building tools. It is very customizable and is easy to operate. This feature packed WordPress email plugin is very useful if you want to covert visitors into subscribers. 1. Has over 30 prebuild email optin form templates and supports further manual customization. 2. Has easy integration with Facebook. It can be used to sign up with Facebook login and also can be placed on a tab in Facebook pages to collect emails from Facebook fans. 3. It supports short codes and also allows video integration on pop up forms so that you can ask your readers to subscribe by saying something to them. 4. Has built-in statistics and split testing facility. Like the cute email pop up on ace blogger Pat Flynn’s blog? The form he uses is optin skin. It is also a highly customizable form along with ready statistics records to show your opt-in statistics. 1. Over 18 amazingly cute and non-aggressive email sign up forms to choose from. 2. Optin Skin supports customizations in order to build awesome looking email forms that match the color scheme of your blog. 3. You can place these forms anywhere, from the sidebars to inside the posts. Plug matter feature boxes are an incredible way to build lists and also not harm the user experience of existing subscribers. If you are looking for a plugin that simply can be hidden from existing subscribers then plug matter is your thing. 1. Plug matter supports targeting returning users. 2. You can use plug matter to hide the subscription boxes from existing users so that they read your blog undisturbed. 3. Supports A/B Split testing. Optimise press is a revolution in traditional list building templates. Optimise press is my favorite list building plugin for ease of use. The drag and drop features makes the customization of an email form just like a child’s play. 1. Over 30 templates and nearly 40 different page elements to choose from. 2. It is 100% mobile responsive and has overlay system for customizing two-step opt-ins. 3. Create awesomely converting squeeze pages and launch pages to make collecting emails easier. 4. Comes with theme and plugins along with membership programs that could in a whole save you a sum of 100$-300$. 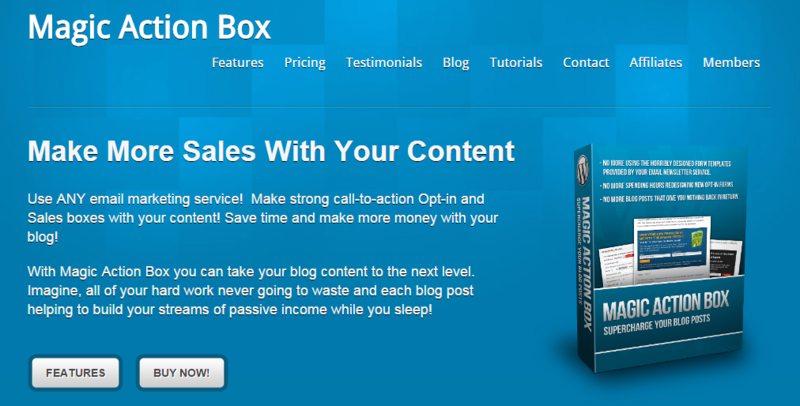 Magic action box, as the name goes are superb and robust email list building plugins that are just the ones you would want. They have strong call to action type effect to get your readers into action and subscribe your list. 1. You can use these forms for showing up at the end of your post. This will add you an option to select a different form directly from the post editor. 2. Make each form customized to suit the post content. It is highly converting and targeted. 3. You can set default plugin settings for regular posts. 4. Includes A/B split along with analytics. This one is a killer. It’s a robust plugin with lots of features and that too for free. Although it has paid options too but its features that the free plugin offers is enough to give a push to many of the paid plugins. 1. SumoMe offers pop ups, sticky header like problogger has. It also offers scroll boxes for appearing after some part of the post is read. 2. Integrates with major email newsletter services and allows customizations too. 3. Offers social sharing and heat maps to know where exactly your readers click so that you can use those spots. I have no clue why those people have a free version. Whatever they offer for free is also not offered by major paid plugins. Then I think there are good people who want to help others. They have so many options for free users. 1. Icegram offers a large amount of customizable and good looking opt0in templates. 3. Has other options like sticky header, message boxes and pop ups. This is a freemium bar that allows free as well as paid services. It is a non-obtrusive form of email collection by placing a sticky header and no pop ups. If you don’t actually want to overload with a plugin you can generate a code for your blog and insert it. This is highly useful for users on blogger.com. Manycontacts is another free email plugin that has a strong call to action influence. It is used by small businesses and bloggers who are not ready to invest in a premium plugin yet and is the best email plugin with sticky header. There are a lot of WordPress plugins for email list building. I haven’t mentioned traditional services like feedburner because they hardly allow you to send custom emails. 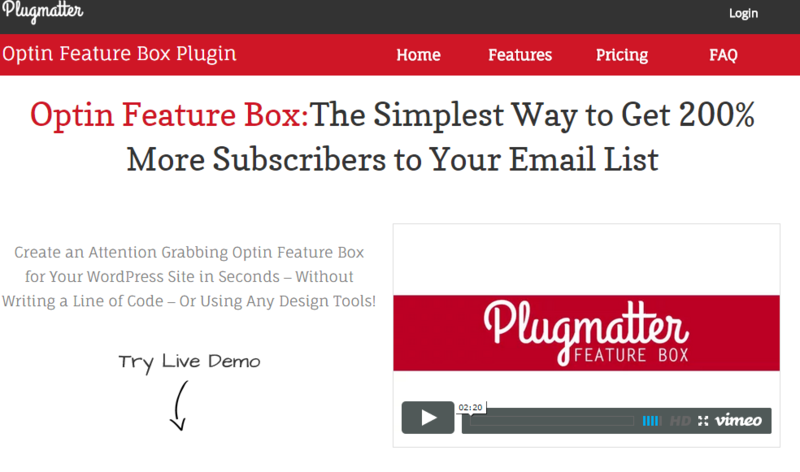 These plugins are by far the top email list building plugins. I personally have a crush on hybrid connect plugin because of its huge list of features. I would love to know what email list building plugins you are using and how do you build your subscriber base. Please write the same in the comments below. Hi Atish bro, Thats a massive post on useful list building plugins. I am glad you mentioned those free ones also as that would help many bloggers in building list. I liked the way you have introduced too. Because I too regret on not making an email list. Email list are important not onlybecause they are sources of selling products. You have the confidence that X number of people are really willing to see and read what you have to say, without SEO without Social media. Swadhin Agrawal recently posted…Blogging strategies and SEO tips I wish mom told me. Thanks for coming by Swadhin. List building is a must do for every blogger nowadays. I have started popups which are now helping to get email subscriber a little faster rate than before. Atish, even I was on the same boat. I didn’t focus much on email marketing from the beginning. As we both now know how essential it is to build a profitable online business using email marketing. From the plugins you recommended, I personally used both Hybrid Connect and Hellobar and I can say that both of them are really good! sorry if I am inturring your comment here but I thought to reply you as I have been your subscriber since a year. I thought you had started the mailing kist pretty soon. I had signed up your list when I was just starting and had no idea as to what a mailing list is. I remeber I had signed it due to the ebook you had as a llead magnet. WoW. It’s a good list to get email subscribers. Initially, I was in the same position. No email list. But soon realised the potential. Till now, sumo me works great. Heard good things about Icegram from Harleena mam’s blog. Would try it soon. Thanks for sharing your views Umapaty. Yes SumoMe is a great Free plugin. Its elegant design and simple look are just the best. Yes, not building a list right off was a mistake I made on one of my health sites – and the worst of it is that at the time it was on page 1 of Google and must have had lots of visitors. I didn’t know much at the time LOL. Of course, I’ve learned by my mistake and collect emails now. Those are great tools you mention. I’m using HelloBar and Instagram. Thanks for introducing me to some others I hadn’t heard of too. If I check commenters on this post, I am noticing that everyone ingored list building initially but later they started. Good to know about your story too. You have gauged the best collection of plugins and an easy way to get the subscribers. Glad you liked the list Grace. glad you liked it and was appreciated by your readers too. I am happy that you liked the post Erik. sumome is a great free plugin but i think if people use subscribe to download like plugin then they can get a lots of email subscribers easily. Otherwise the rate of conversion will be very low. Am i right aatish ? Yes, that helps a lot when you give something downloadable for free then people in the greed of getting free material, subscribe to your list. About SumoMe, no doubt, its great. Thanks Atish for this informative piece and the wonderful links on this subject. Thanks for coming by. I did read that post by Carol on your blog. That is nice. List building is a must do for every blogger. Hello Atish bro, That is a huge submit on practical checklist constructing jacks. I will be thankful a person described these free of charge people also seeing that that may help many writers in constructing checklist. Thanks For stopping by Pawan. 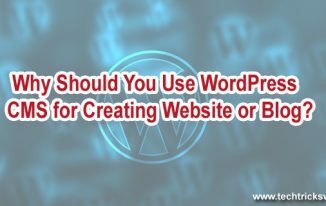 Great post.I wait for email list building with WordPress plugins.We get the great information at email marketing after reading this post.This post is very easy to understand because it is written in very easy language.I like your blog because every time I get great information.I love to see some other post from your site. So glad that you’re focusing on list building now, better late than never. Do you want to know something? I did the same thing as Joy – on one of my niche sites, I neglected to put an opt in with sales funnel because I was not that familiar with the niche… What a mistake that was! When I added the form….I slowly started to get a trickle of subscribers, now have about 50 people on that list. Better than 0, right? So, it takes work but you’ll reap dividends in the end. I use ActiveCampaign and LeadPages right now and have just switched to a new system to test it out – if it goes well, will replace LeadPages. Better late than never. I have started using a pop up and its working out well. Within a week I earned more than 35 subscribers. Glad you liked the post. I will check out ActiveCampaign and LeadPages. Great discussion !! . Can u suggest any SEO plugins for my WP site? The first thing is for what you want an SEO plugin?? By the way WordPress SEO by Yoast is a good SEO plugin. Your posts are always well researched and informative. Keep the good work that help other blogger’s as well. Hoping to read more informative posts from you. (I know you are good in writing such posts).